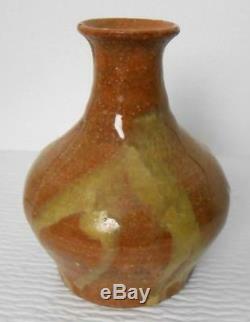 Vintage Tommy Kakinuma Canadian Studio Art Pottery Ovoid Vase Mid Century Modern. 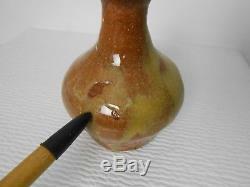 VG+ condition, high & low texture glaze, overall crazing. Pointer photo shos low spot in glaze. Measures: 4 1/2" high, 3 3/4" wide. 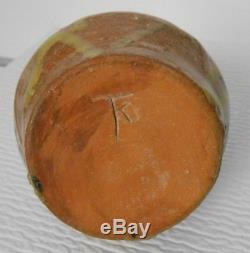 The item "Vintage Tommy Kakinuma Canadian Studio Art Pottery Ovoid Vase Mid Century Modern" is in sale since Monday, March 12, 2018. This item is in the category "Pottery & Glass\Pottery & China\Art Pottery\Studio/ Handcrafted Pottery". 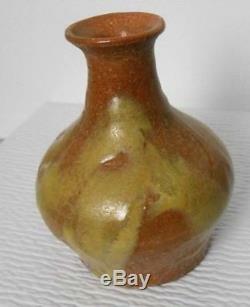 The seller is "just2spiffy" and is located in Forked River, New Jersey. This item can be shipped worldwide.